The Honest Company's Organic Breathe Easy Rub can help your baby (or anyone else in your family) feel better when they are all stuffed up. With simple and pure organic aromatherapy oils, The Honest Company's Organic Breathe Easy Rub can help relieve congestion. This product uses non-toxic, all-natural ingredients like organic eucalyptus and tea tree oils. Lavender and rosemary oils help promote calmness while keeping your little one soothed. 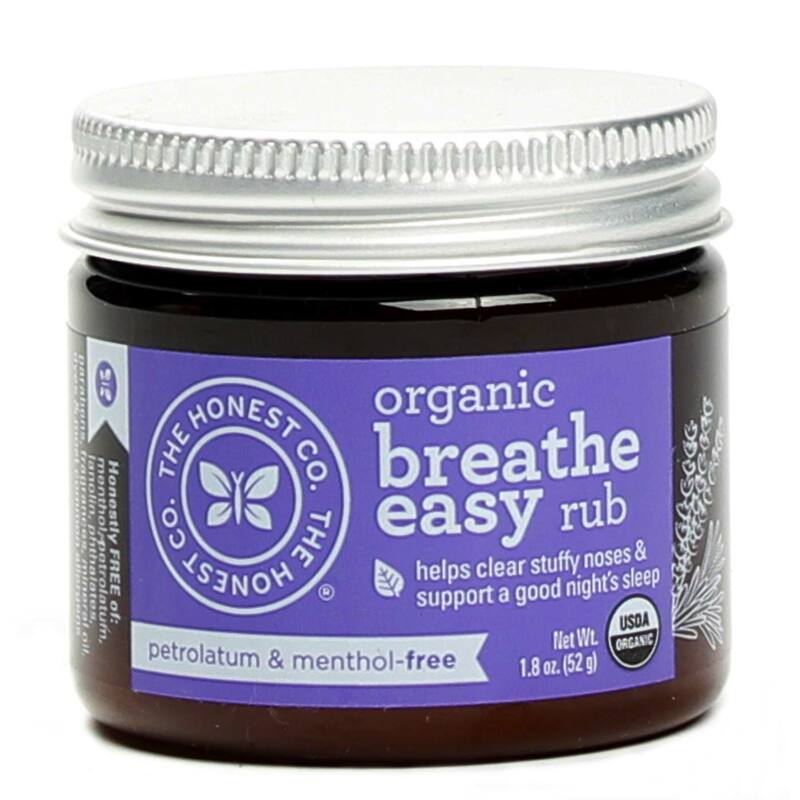 The Honest Company's Organic Breathe Easy Rub will soon become the secret weapon in your medicine cabinet when you and your entire family start to feel the sniffles coming on. Order today from eVitamins at a great price! Advertencias: For external use only. Avoid contact with eyes. If any adverse reaction develops, stop use and contact a physician. Notas: Made in the USA with US and imported materials. No animal testing. INGREDIENTS: Helianthus annuus (Sunflower) Oil, Cera alba (Beeswax), Cocos nucifera (Coconut) Oil, Olea europaea (Olive) Oil, Butyrospermum parkii (Shea) Butter, Rosa mosqueta (Rose Hip) Oil, Eucalyptus globulus (Eucalyptus) Leaf Oil, Lavandula hybrida (Lavandin) Oil, Melaleuca alternifolia (Tea Tree) Leaf Oil, Rosmarinus officinus (Rosemary) Oil and Tocopherol (Non-GMO). DIRECTIONS: For babies 3 months or older - gently massage onto chest, neck and back to help soothe and comfort. Also try massaging onto bottom of feet, then cover with cozy socks. 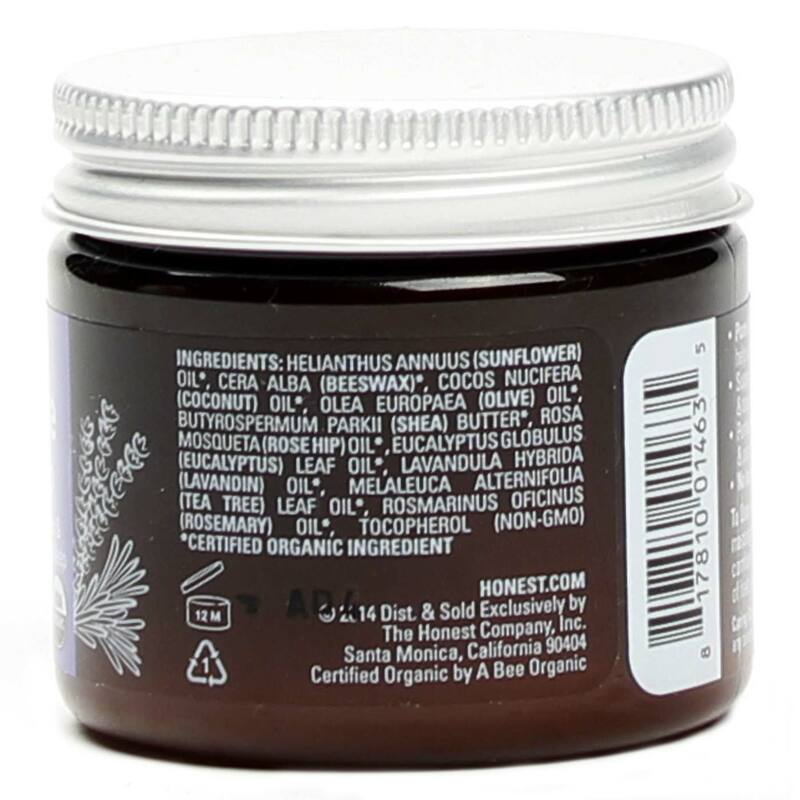 Las revisiones de los clientes publicadas a continuación se basan en experiencias individuales de los consumidores y NO necesariamente representan los resultados esperados de usar o tomar The Honest Company Organic Breathe Easy Rub - 1.8 oz. Es posible que estos resultados no sean los típicos y no necesariamente debe esperar recibir los mismos resultados. Los resultados reales pueden variar. Tan bueno como el frote Vapo pero libre de químicos y seguro. ¡Quiéralo!